March 2, 2016, Mumbai : Mahindra & Mahindra Ltd. (M&M Ltd.), India's leading SUV manufacturer, has announced a free nation-wide mega service camp, M-Plus, for its range of personal vehicles, that include the Bolero, Scorpio, Thar, Xylo, Quanto, Verito, Verito Vibe, Logan, XUV500, TUV300, KUV100 & Rexton. 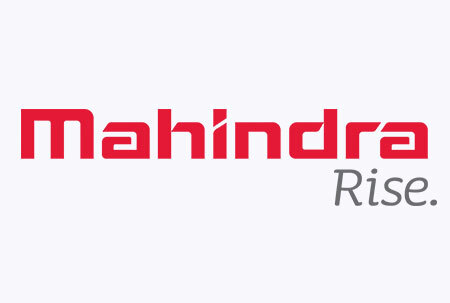 This grand customer-centric initiative will be organized between March 7 and March 13, 2016 in more than 450 Mahindra authorized workshops across the country. 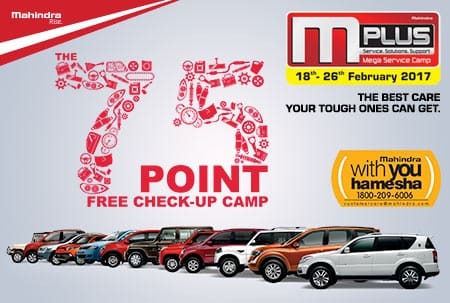 The M-Plus Mega service camps will be organized across the country in all major cities, thereby providing Mahindra owners with the opportunity to ensure that their vehicles are in top condition. 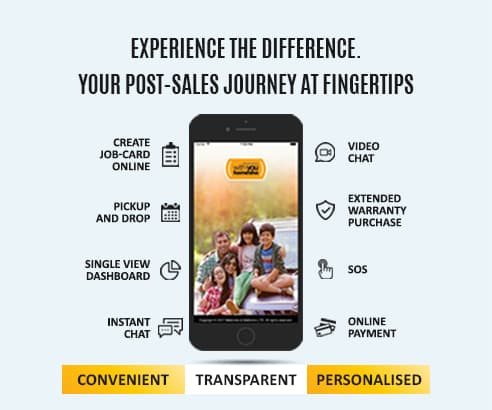 Customers can avail of an exhaustive 75-point check on each vehicle, completely free of cost, through trained technicians. In addition, Mahindra customers will also have the opportunity to avail discounts on spare parts & labour and win exciting prizes. Speaking on this service initiative, Veejay Ram Nakra, Senior Vice President – Sales & Customer Care, Automotive Division, Mahindra & Mahindra Ltd. said "Being a customer centric company, it has always been our endeavour to provide our customers with best-in-class service experience. Over the years, M-Plus Mega service camp has become a service brand to reckon with, that aptly delivers on our promise of With You Hamesha.. Today, we are delighted to see that we have a loyal fan following for all our products and it is our customers who give us the opportunity to understand their requirements and help us connect with them better. We are continually focused on providing unmatched customer experience and initiatives such as these re-affirm our commitment to customers, who form the bedrock of our success." 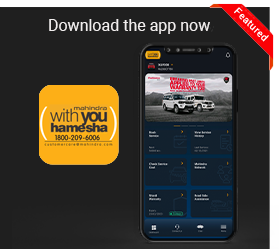 To avail various offers, Mahindra owners can drive down to their nearest authorized workshops during the period of the M-Plus Mega camp or register their appointments on Mahindra With You Hamesha 24x7 toll free no help line, 1800-209-6006. Each participating customer will also be eligible for attractive discounts on spare parts and labour charges during the M-Plus Mega Service Camp and customers can also expect exciting gifts through lucky draw at the participating workshops.